Yesterday's tiny screens and squeaky sound couldn't do justice to all the great stuff you can experience on today's HTC Desire HD. 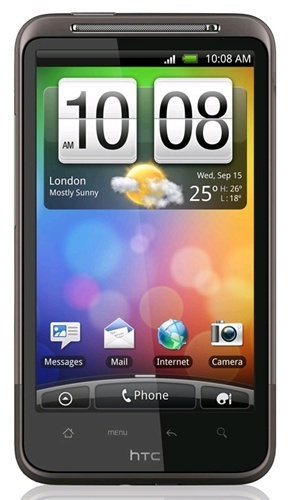 That's why we've fitted the HTC Desire HD with a huge cinematic 4.3-inch display, Dolby Mobile and SRS virtual surround sound. Websites, videos, music, games and apps really rock on your HTC Desire HD. Tired of waiting - and paying - as maps slowly download? Get there faster. 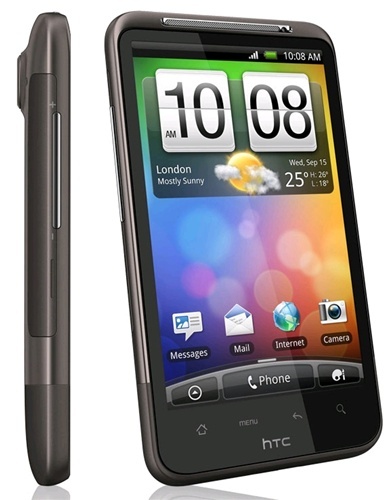 The HTC Desire HD delivers maps with zero wait, zero dead spots and zero data roaming fees. Have trouble knowing which way to turn when using a map? Relax. Maps on the HTC Desire HD always point you in the right direction. Need an ATM, a gas station or a quick bite to eat? With HTC Desire HD all the top spots appear right on your home screen. You're likely to become very attached to your HTC Desire HD. That's why we had the idea to bring the HTC Sense experience online. Can't find your phone? Use HTCSense.com to show you that it's under your sleeping cat. Worried you'll miss something because you left it at home today? Use HTCSense.com to send and receive texts and to forward your calls to another number. Frantic about personal data on your phone that's been lost or stolen? Log into HTCSense.com to quickly lock and wipe it remotely. What's the point of only being able to see part of the web? 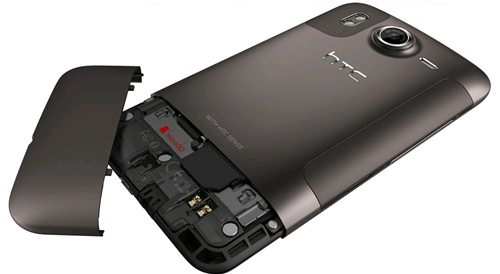 With built-in Adobe® Flash® Player support on your HTC Desire HD, no websites are out-of-bounds. And why wait for pages to load when you can view them in separate windows? A pinch and a tap lets you jump from one page to the next. Until recently if you wanted quality images and video you had to carry both a camera and your phone. Not anymore. We've added HD video recording and an 8MP, dual flash camera with built-in effects (it's like being able to swap lenses and add filters on the fly). And we've made it a snap to share to YouTube or to your big screen TV via DLNA. Tired of moving stuff from one device to another just to share your photos, videos and music on a bigger screen? Stream them all from your phone to your home theater system via DLNA. Gather the family around - it's show time! If you juggle more than one email account, you'll love how you can now see all your accounts in a single inbox that automatically color codes each email by account. And don't worry about clutter - handy email filters sort them by groups, importance, or content.